. 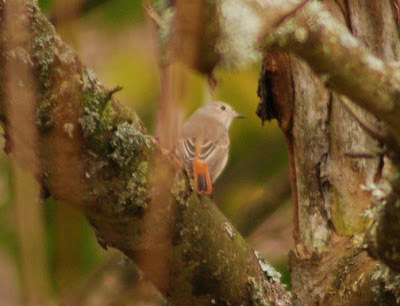 : Redstart showing characteristics of samamisicus? 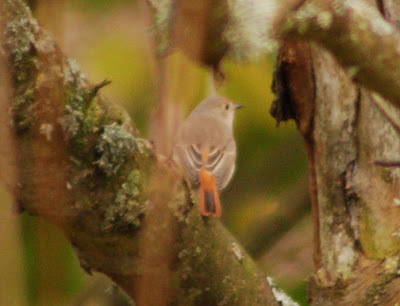 Below are some images of a redstart found by Daniel Eva at Helston Loe Pool on Sunday afternoon, 16th November 2008, showing some characteristics of the eastern form of redstart. It was later video'd by John Chapple and photographed by Kate Jones. Daniel was surprised how pale and sandy coloured the bird was. In addition, the pale edges to the tertials and secondaries formed a panel in the wing. Any constructive comments on the identification would be welcome. 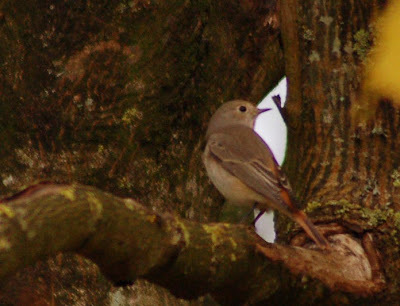 The bird was observed in typical woodland habitat and the light was fairly dull under the canopy. The three shots below were the best that Kate could obtain given the dull light. really enjoyed looking through your beautifull collections of birds! Handy hint: before wasting time and effort putting it on TwatForum, I'd approach local, experienced birders (the county recorder, county rarity committee members, etc. ), this way you needn't bother wading through endless shite written by useless munters with no experience of samamisicus Redstart and someone who knows their stuff might actually pop out to see it.